At ADH Golf & Utility Vehicles, we offer Western Australia's largest Golf Car Hire Fleet for short, medium or long term rental. If you need to hire a utility vehicle or transporter, we can assist with that too. Need to arrange quiet, economical and reliable transport delivered on-site for your special event? Maybe you require a couple of dozen golf cars for your corporate golf day? At ADH Golf & Utility Vehicles, we offer Perth's largest fleet of Hire Golf Carts and commercial utility vehicles for short, medium or long term rental. Please view our Hire Vehicle options below and send through an enquiry form or call 08 9302 2203 for a quote. Why Choose our Hire Vehicles? ADH goes a cut above the rest when it comes to hire golf cars. We are passionate about our product and our service and this passion is reflected in our dedication to customer service – which we deliver with integrity, honesty and professionalism. Furthermore, we maintain our hire fleet to a very high standard of quality and operation. Our vehicles are ideal for use on the golf course, the construction site and other heavy industry locations but can also be used to transport people in large indoor spaces and outdoors where cars may not be available or practical. Rent one or more buggies for a corporate golf day or maybe for your family holidays. If you can’t pick up the vehicle, we can deliver it for you. Running a short-term event? Get your people and cargo from place to place quickly and efficiently! Our electric and petrol transportation vehicles can seat up to eight people comfortably, thus allowing you to move large numbers of people in the most efficient and cost-effective way possible. 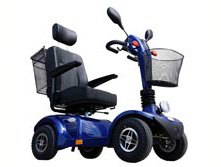 Do you need short or long term mobility assistance for you or a loved one? 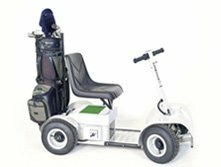 ADH Golf & Utility Vehicles have a range of Mobility Scooters and Electric Wheel Chairs available for short or long term hire. 08 9302 2203 or contact us via email to arrange for a quote. You can also use the below enquiry form.